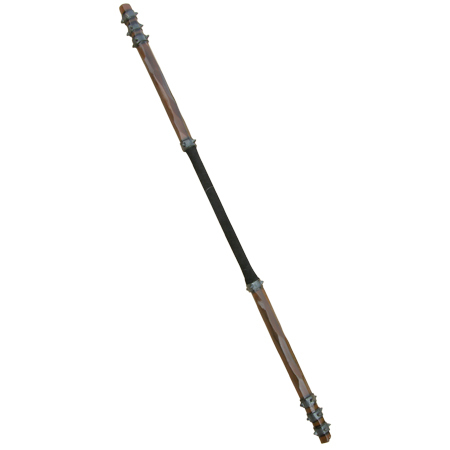 This weapon give you reach and control, and allows you to defend yourself easily. The reach it provides also allows for a controlled and devastating offensive capability. Unassuming until needed, this weapon is the perfect peacekeeper. FYI: In 2009, this staff was remodeled. The length was changed from 70" to 66", and the color of the wooden segments of the staff were lightened in color. We still have a few of the pre-2009 models in stock. Please use the dropdown at the bottom of the page to specify which model you would like.